PLANNING PERMISSION has been refused for a €100 million development at Hazelwood House on the shores of Lough Gill in Sligo. The project would have involved the construction of more than 200 residential units and the demolition of a disused factory in the grounds of the historic estate. An Bord Pleanála has upheld the decision of Sligo County Council not to grant a 10-year planning permission for the project which was to incorporate the demolition of the former Saehan Media factory, the restoration of Hazelwood House and the construction of 212 residential units. Among those making observations or objecting to the project were the Department of the Environment, the Irish Georgian Society, An Taisce, the Hazelwood Action Group and Birdwatch Ireland. Hazelwood House was designed almost 300 years ago by Richard Castle, architect of Leinster House, Powerscourt House and Westport House, and was the ancestral home of the Wynne family for almost 200 years until the 1920s. The developer, Foresthaze Development Ltd, had undertaken to pass responsibility for the upkeep and management of the historic home to the Irish Heritage Trust after the Palladian-style mansion on the shores of the Garavogue river had been fully restored. The planning board found that the site was within a designated sensitive rural landscape area and a visually vulnerable area, as designated in the Sligo County Development Plan 2005–2011 and that a major portion was also designated as “green belt” in the Sligo and Environs Development Plan 2010–2016. The proposed development would not adequately provide for the reinstatement of Hazelwood House and would be contrary to the proper planning and sustainable development of the area, it concluded. The board pointed out that the site was also located within the Lough Gill special area of conservation and said the proposed development would give rise to the loss of significant areas of woodland designated as part of that SAC. In its submission, the Irish Georgian Society stressed the need to prioritise the restoration of Hazelwood House in advance of any other works given the continuing decline of the historic property. Planning inspector Mary Crowley pointed out that although two section 59 endangerment notices had been issued by Sligo County Council in 2009 there was little certainty about the type or timeframe of the restoration works planned or a date for a handover to the Irish Heritage Trust. She echoed the views of Sligo County Council’s heritage officer that the future of Hazelwood House should not be linked to the commercial success of residential sales and stressed that the urgent conservation work required could not wait for eight to 10 years. WICKLOW COUNTY councillors have criticised Minister of State for Planning Ciarán Cuffe (Green Party) over a letter he sent to the council warning the local authority that elements of its county development plan may need to be amended. At a meeting of Wicklow County Council yesterday, councillors agreed on a draft response to the Minister over his correspondence, which made reference to a number of zonings along the N11 route. In particular, it made reference to the granting of planning permission for a six-building data centre on a site adjacent to Mount Kennedy House, near Newtownmountkennedy. Mr Cuffe is concerned that the location of the proposed data centre could “significantly undermine” the role of “higher order” employment centres in the county. The letter also reminds councillors that “local authorities have a duty when making/amending plans to ensure that the future development of their areas is based on sound planning principles”. Fianna Fáil councillor Pat Vance supported the draft response circulated to members, which, he said, gave a “simple explanation” to the Minister for each of the county’s zoning decisions. “Minister Cuffe couldn’t actually stand over his own development plan in his constituency in Dún Laoghaire-Rathdown, where they built the Carrickmines shopping centre out in the middle of nowhere, where there was no public transport or anything . . . and we in Wicklow have no major shopping centres or industrial development along the N11,” he said. Fine Gael councillor Derek Mitchell also supported the response to the Department of the Environment and told the council he believed the Minister “is trying to prevent jobs coming to Wicklow”. The county was “one of the best” regions in Ireland as regards sound planning, he added. At yesterday’s meeting, councillors were also given a presentation by Brian McDonagh, a backer of the data centre project, which was granted permission by the council but has now been appealed to An Bord Pleanála by the National Roads Authority (NRA). Mr McDonagh told members that more than 2,000 jobs would be created in the construction of the centre, which would provide data storage for some of the world’s biggest IT companies, and thousands more jobs would be provided for the county in spin-off businesses. The project, which is to be the largest of its kind in the world, would “not be carbon neutral, but will be carbon negative”, and would firmly establish Ireland’s green economy credentials, he said. It would also provide local businesses and homes with energy. However, Mr McDonagh warned that if planning objections were not resolved “within the next three months”, the project would be lost. 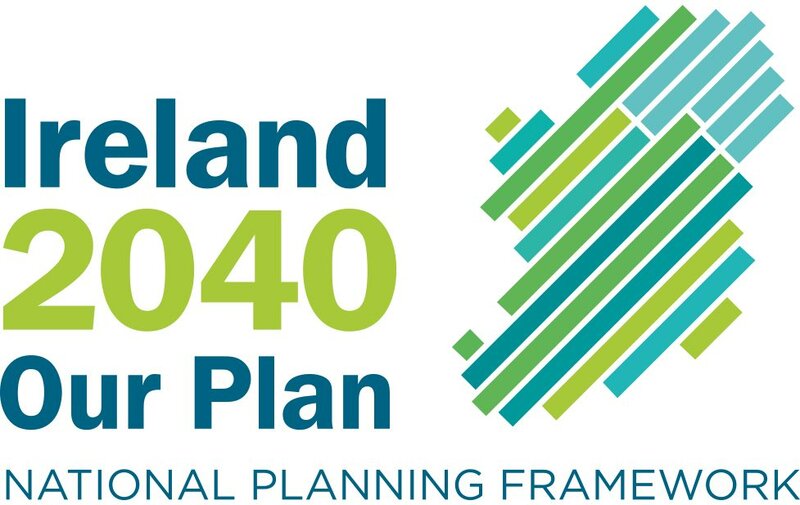 In its appeal, to which Mr Cuffe refers in his correspondence with the council, the NRA has told An Bord Pleanála that the plan would be “at variance with official policy” and is “contrary” to Wicklow’s development plan. The NRA also says traffic assessment studies submitted as part of the plans are “inadequate”. However, Mr McDonagh said yesterday that any traffic impact would be minimal. Fianna Fáil councillor Pat Casey expressed “anger” at the NRA. He also said he was “disappointed” with his party’s Ministers who, he said, were “running away” from organisations created by them. PLANS FOR a “Las Vegas-style” casino, sports complex and entertainment resort near the village of Two-Mile-Borris have been approved by North Tipperary County Council. Independent TD Michael Lowry described the decision as “a major step forward” and “refreshing and positive news at a time of gloom”. The project, estimated to cost €460 million, could create thousands of new jobs in his Tipperary North constituency. Mr Lowry estimated that 1,000 construction workers would be hired for the three-year building phase and “between 1,500 and 2,000 sustainable, permanent jobs” created in the long-term. It is not known if An Taisce will appeal the planning decision to An Bord Pleanála. The heritage body had made a submission to North Tipperary County Council claiming that such a development “couldn’t be more inappropriate”. But Mr Lowry said the “biggest planning application ever lodged in north Tipperary” had been subjected to “thorough and rigorous analysis” by officials. Mr Quirke said he “would like to acknowledge the efforts and assistance” of Mr Lowry because “this project would not have come to fruition if it were not for his time and dedication”. DUBLIN City Council’s decision to grant planning permission for a retail unit at 147a Merrion Road, Dublin 4, to be converted into a funeral home, has been overturned by An Bord Pleanála. The board ruled that because of the restricted space on and around the site and the conditions affecting access, the proposed development would endanger public safety by reason of traffic hazard and obstruction of road users. The apppellants were Maire Boland, R McDonald, Dr Sarah Carthy and Dr Enda Ryan. HORSE RACING Ireland intends to adopt a “wait-and-see” attitude towards plans for building a new racecourse as part of a €460 million casino project in north Tipperary. But its chief executive admitted yesterday the idea raises some issues for horse racing’s ruling body. North Tipperary County Council has approved plans for the controversial project which includes a 6,000-square metre casino and a 500-bedroom hotel. Also included is a design for a new racecourse near the village of Two-Mile-Borris and on Monday the project spokesman, Richard Quirke, said that getting the green light to proceed with a new track would result in the closing of Thurles racecourse. HRI met representatives of the new business venture last year and there are plans to meet again soon to discuss the project. 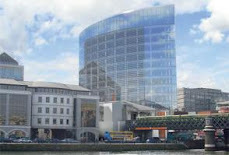 HRI’s chief executive Brian Kavanagh said yesterday he was supportive of the plan’s ambitions. “We met with them last year and you would have to be impressed with the proposal and its ambition. They are not looking for funding and overall you would have to be supportive when someone comes to you in such circumstances wanting to build a racecourse as was proposed to us,” he said. “We would hope to sit down with them again but it does raise a lot of issues. We have to be supportive of such ambition but we will see what happens,” Kavanagh added. HRI has been under serious pressure in the past couple of years due to the financial crisis and prize money levels have been slashed. Fixtures have also been cut. Matters such as the design of any future new track could also be a subject of concern for the body. Several high-profile racing figures have publicly supported the new project including trainers Aidan O’Brien and Edward O’Grady. The influential Coolmore Stud also supports the idea which would transform an 800-acre site in Tipperary. A three-year building programme has been proposed with 1,000 construction jobs created in that period. Up to 2,000 permanent jobs have been predicted once construction has finished. The heritage body, An Taisce, objected to the casino proposal and could yet appeal the county council’s approval to An Bord Pleanala. A change to the gaming laws would also be required for the proposed new casino to get a licence and the results of a government review on those laws is expected soon. The Tipperary venue is the brainchild of former garda Richard Quirke, whose gaming interests include the Dr Quirkey Good Time Emporium on O’Connell Street in Dublin. Independent TD Michael Lowry has been a strong supporter of the idea and has described it as “refreshing and positive news in a time of gloom”.